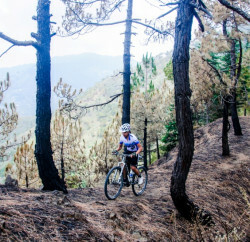 MTB Shimla 2012 is being organised on 15th July at Shimla Ridge maidan. The aim of this cycle rally is to promote cycling among the daily commuters so that its route is designed as per the daily route of common people of Shimla city. The event will flag off from the Historic Ridge Maidan and it will pass through Old Auckland House School, Dilshant Estate – Dochi – Kamyana – Chairi – Kiyar Koti – Malna – Sarya – Sadhora – Mashobra – Dhalli – Sanjauli – Lakkar Bazar Market and will end at Ridge. 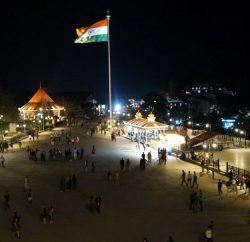 HASTPA (Himalayan Adventure Sports & Tourism Promotion Association) is organising MTB Shimla 2012 and its associate are Shimla Municipal Corporation, HP State Pollution Control Board, Himachal Tourism. 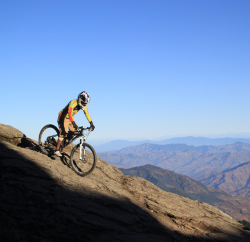 The main aim behind this cycle race is to promote cycling among daily commuters in Shimla city. Organizer believes cycling can play a significant role in mobility management as in the developed countries. The bicycle has a very important role for improving the quality of life in town. About 40 cyclists are expecting to show their cycling skill in this rally. Lt. Gen. Rajesh Kocchar, will flag off the rally at 9 AM and Commissioner, Shimla Muninipal Corporation MP Sood will distribute the prices among the winner at 3 PM at Ridge.